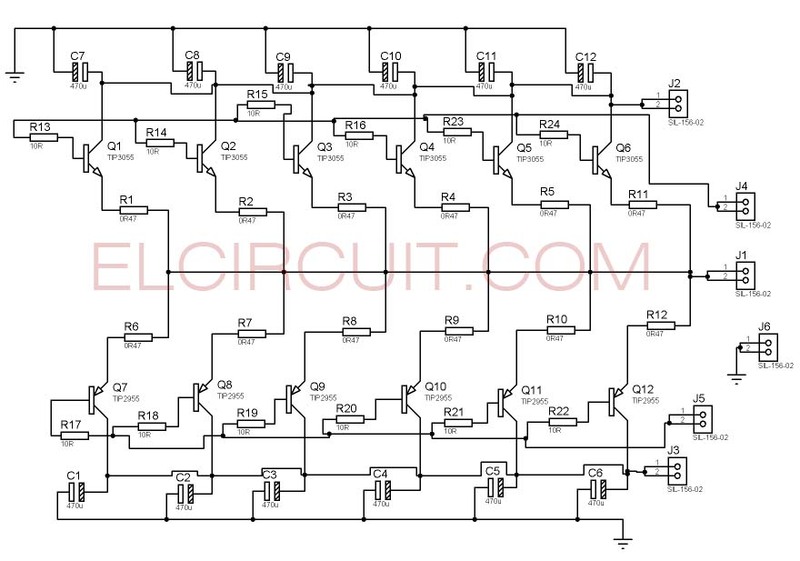 How can parallel the final transistor power amplifier circuit? comes to a question from a visitor elcircuit.com. And whether the function of the parallel final transistors? 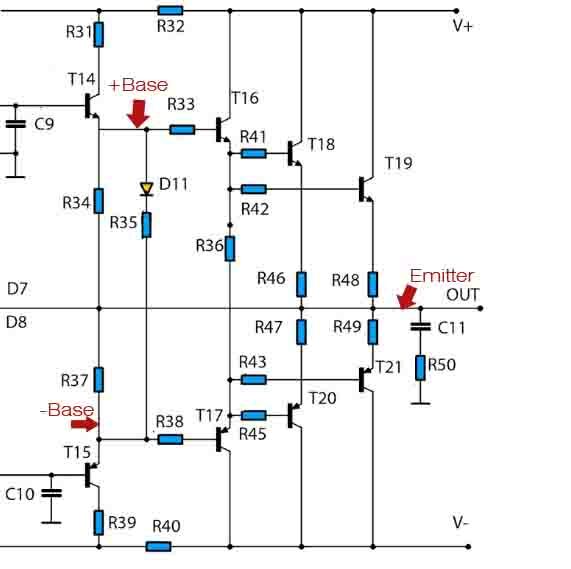 First, how to paralleling final transistor power amplifier you must know the supply voltage, Emitter line, and Base transistor line, from power amplifier circuit. 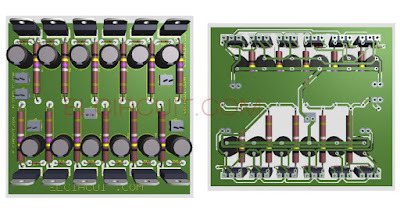 Then connect it to the parallel transistor, you can see below the schematic from power amplifier and the parallel transistor final. 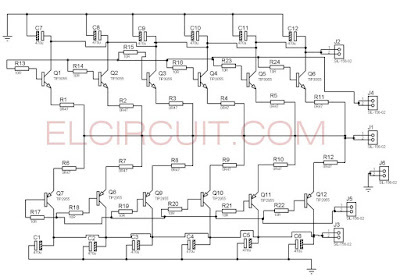 I take an example 2800W power amplifier circuit on the block of its final transistors. Resistor before input voltage on a base function to divide voltage current and produced heat evenly in order to transistors. And the capacitors is to temporarily store incoming voltage to the transistors, in order to do not drop when a high load on each transistor. 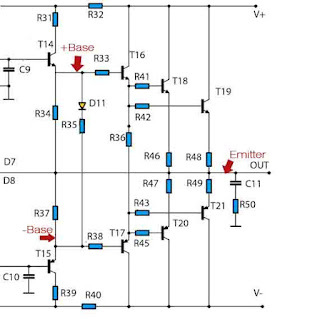 For transistors TIP3055 and TIP2955 in parallel are just as an example, you can change as needed. It would be better you use transistors of the same type in a circuit of power amplifiers. Actually already many discuss this issue. But it would not hurt my post back with a more simple and easy. 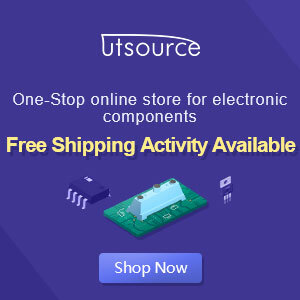 What is the final transistors parallel function? 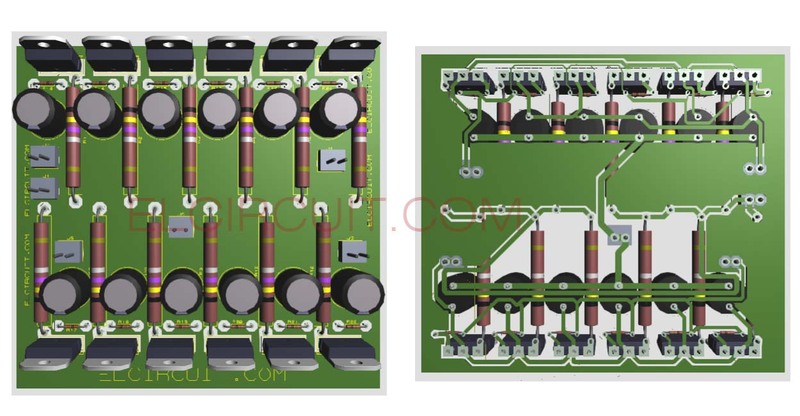 Many say the final transistor parallel, it can increase the power produced wattage power amplifier. Is it really like that? The answer correctly. 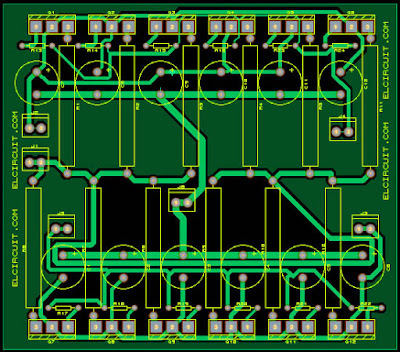 By increasing the number of transistors final wattage power will increase. 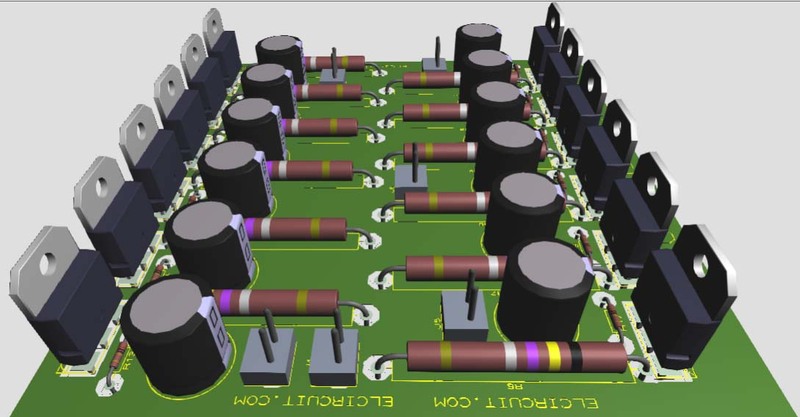 But in addition to adding the final transistors, transformer capability should also be considered. 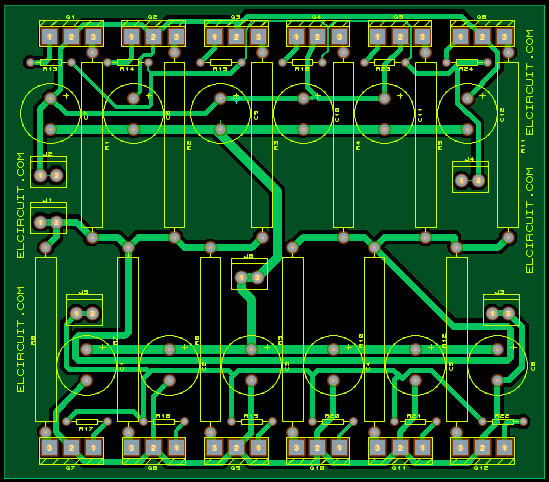 As more transistors finals are mounted, so the power and the load will also increase. If not matched by sufficient transformer capability, then the power amplifier will drop immediately.